Hubbell Lighting Inc. is proud to announce an expansion of the Laredo® LNC2 Series wallpack, with the introduction of another low wattage high performance configuration. 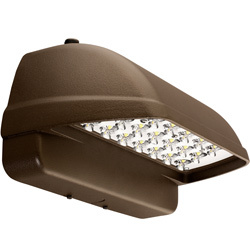 The Laredo® LNC2-18LU is a 45-watt configuration that delivers a lumen output of up to 3306 lumens and efficiency of 74 lumens per watt. ... Sponsored section.